There is a lot of debate on GMAT Club as to whether you should use only real GMAT questions (around 4,000 official GMAT questions currently available), and I have a strong opinion on the subject, so I’d like to weigh in. To do so, I am going to use an extended analogy: soccer (or fùtbol), the world’s most popular sport. For example, I am going to be coaching my two daughters in their soccer league this summer, and I am already thinking about how to organize the practices. Let’s say that I start by watching a video of an expert girls’ soccer team scoring lots of goals and playing great defense. Think of this video as the correct solutions to GMAT official questions: the model to which we all aspire. When watching this video, I notice that in order for goals to be scored (questions answered correctly), several events in a row need to work out in our favor: usually at least 1 defensive play (think of these as catching your mistakes on the GMAT) and 3 quality passes for each goal (at least 3 steps required for each GMAT problem, given the complexity of the test). A) Have my team try to recreate every goal that I see on the video, pass for pass and step for step? 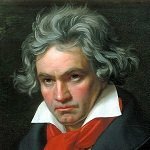 B) Work only on fundamentals? C) Find a compromise between the two by working on fundamentals and teamwork? Obviously, the answer is C. But in the same way that you should when preparing for the GMAT, let’s think about why A and B are not correct. A) This is unrealistic. Soccer games are full of variables, so it is unlikely that the players will be in the perfect position to replicate another team's previous success. (Think of this as other companies simply switching out the numbers / words from official GMAT questions--it provides false certainty by giving you the EXACT SAME type of question you were expecting.) GMAT Questions are like snowflakes--no two are exactly the same. B) This provides false confidence. Yes, you might be able to dribble the ball well without anyone guarding you (and in fact, basic GMAT skills are definitely worth practicing, especially for lower-scoring students), but for every hour spent practicing test fundamentals on your own, you should practice "with a defender on you" (trying random, official questions, not hand-picked synthetic questions). False confidence is what the test-prep companies give you when they feed you full of facts, formulas and other well-known information, and they follow up with easy questions designed to test the very same information or strategy that they just spoon-fed to you. You might leave your GMAT class or tutoring session feeling full of knowledge, but they are mostly empty calories. Let me put it another way: a common question I get from my students after reviewing a difficult question is, “OK, so next time it’s going to be just like this, so I’ll do the same thing, right?” I wish I could say yes, but the truth is that the GMAT is far more complicated than that. When you are taking the GMAT, you need to build foundational skills, yes, but that is only the beginning. You also need to build improvisational skills, and this is harder to do when working with questions that are written to fit the strategies--questions that are essentially copies of copies, and have zero originality to them. Although memorization of previous questions can help, memorization isn't enough to excel on the GMAT because the questions on test day will only resemble the official GMAT questions. You could memorize the essay topics, yes, but not the questions themselves...otherwise you will become an inflexible GMAT robot rather than an intelligent human test-taker, a talented futbolista (a la Messi, who had a free kick of beauty yesterday vs. the US) who is able to adjust to the variables of the game in real-time. One thing you will notice when you practice with real GMAT questions is that, as I've already stated, none of them are exactly the same. Which is why memorization and canned strategies can only take you so far. Remember, on the real GMAT, the test isn’t going to tell you what’s coming. It’s not going to say: “OK, here are a bunch of work/rate questions and here’s how to do them” or "watch out for the tricky wording on this one," or "use the assumption negation technique," or "watch out for redundancy here." You’re going to be given random questions, and you’re going to have to improvise on the spot, based upon your training. Now, it is true that if I’m reviewing an official GMAT question with a student, and an issue of strategy or learning comes up, then I will often take the opportunity to address that issue separately, and perhaps by using an easier, more simplified example. But simplifying the GMAT is a tricky road to travel, because it’s not a simple test. The elements can be mastered individually, but we must then learn to use them in combination, using authentic questions that reflect all the nuances of the GMAT. Instead of being first introduced to a strategy, then being spoon-fed questions to fit that strategy, you should be given real questions and practice the art of GMAT improvisation. From that improvisation will come the information you need to improve, and then, easier, synthetic questions can be practiced with for learning and strategy purposes. GMAT companies are tripping over themselves in a rush to prove that they have “the best” methods and secrets to acing the GMAT. But the truth is that success on the GMAT is not easy; if it were, then everyone would do it. In my opinion it requires at least 100 hours of focused, organized study, using real GMAT questions, not poor imitations. One of the main issues with mainstream test-preparation guides such as Kap. and Princeton Review is that their questions are not realistic. They are either way too easy, way too hard, or in some cases, incomprehensible and incorrect. In particular, imitation Verbal questions are quite poor because it’s hard to replicate that GMAT “feel” without basically copying real GMAT questions word for word and switching out just enough content to avoid a copyright lawsuit. As far as GMAT math questions, it’s pretty easy to copy real GMAT questions by just switching the numbers around a bit. But if you’re going to do that, then why not just use the originals? Another issue to keep in mind here is that GMATClub (like Beat the GMAT, but decidedly less so) is inhabited by corporate interests who want to sell you a product, so of course they will tout their own materials. Q: I prepared using non-official questions and did just fine. Why? A: Congrats! But that doesn’t mean you couldn’t have done even better using official questions. Q: Why are the questions in the OGs so easy? A: They are not as easy as many claim (GMAT Club users are smarter than the average GMAT test-taker), but yes, they are easier than are the questions in the GMAT Prep software. Q: The GMATPrep software is clunky. Why not just use GMAT Club? A: GMATClub is a great resource. But it cannot replicate the interface of the real GMAT in the same way that the GMATPrep software (both the Question Packs and the Exam Packs) can. When you are preparing for the GMAT, you should not only be making sure to use official questions, but you should be practicing on the very same interface that the test itself uses at least 50% of the time. Q: Are you saying that I won’t need any GMAT strategy or learning guides, just official questions? A: No, of course not. Using GMAT Club and other books for strategy and learning is highly recommended, but try to stick to official questions whenever you can. Read my review of the GMAT 2017 Official Guide for more information and book recommendations. Q: Should I study using only a computer, and ditch the physical books altogether? A: No, the books are helpful for many. Just don't get too used to them...use a computer at least 50% of the time. Q: Are you only saying this because you are a self-interested private GMAT tutor, and thus don't want your students using other helpful materials? A: No, of course not. Serious GMAT students need to put in at least 100 hours of preparation, which will likely include many outside materials, and that's fine with me, especially for strategy and learning purposes (but less so for practice questions and practice tests). The more work you put in outside of class on GMAT basics, the more we can focus on the finer details of the test. In addition, although I am happy to tutor my students using whatever materials they so choose (which is why I am very familiar with the different synthetic GMAT resources available), I still recommend only real questions for purposes of realism. 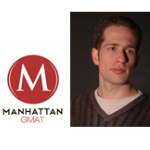 Many of my students are dissatisfied former clients of the big-name GMAT companies, and no GMAT online learning system or class can match the services of a live human being who is a GMAT expert. In my 16 years of teaching this test, I've taken a lot of students from 650 to 700-plus, in part by narrowing our focus to real GMAT questions only, with an emphasis on the Exam Packs and the Question Packs to see more of the harder questions. By all means, take a class from another company, or sign up for an online course. The more work you put in before you see a tutor, the better. But before you do so, understand that not all GMAT questions are authentic representations of what you will see on test day, and not all GMAT advice is helpful, accurate, or realistic. Consider your sources and their biases before trusting anyone, including me and the other experts on this forum. I certainly don't understand the perception that private tutors wouldn't want their students to use helpful resources such as GMAT Club, online courses and guided study, in-person courses, etc.. As someone who actively supports and frequently posts articles / answer explanations on GMAT Club, that's a mystifying presumption. Instead, I see GMAT Club, Magoosh etc. as useful supplements to GMAT private tutoring, not a replacement. If I could only tell you how many times I've had students tell me, "I looked this one up on GMAT Club, but I still don't understand the explanation." There are limitations to learning from a forum or a website or a book or class, instead of one-on-one learning from a human being who can actively listen to your questions and respond in real-time, in a way that it customized to your particular learning style. At the same time, however, for every one of those questions, there might be another 2 or 3 questions for which GMAT Club is immensely helpful. Thus, it allows my students to save on my tutoring fees by only focusing on those questions for which they were not able to find an understandable explanation. Harvard grad and 99% GMAT scorer, offering expert, private GMAT tutoring and coaching worldwide since 2002. One of the only known humans to have taken the GMAT 5 times and scored in the 700s every time (700, 710, 730, 750, 770), including verified section scores of Q50 / V47, as well as personal bests of 8/8 IR (2 times), 6/6 AWA (4 times), 50/51Q and 48/51V (1 question wrong). You can download my official test-taker score report (all scores within the last 5 years) directly from the Pearson Vue website: https://tinyurl.com/y7knw7bt Date of Birth: 09 December 1979. Originally posted by mcelroytutoring on 21 Jun 2016, 16:47. Last edited by mcelroytutoring on 22 Jul 2018, 11:17, edited 29 times in total. that was a very useful post and I asked many of these questions yesterday on your OG 2017 review thread! To keep it short you suggest that to test out section/topic-wise strategies learned one can use unofficial questions from MGMAT / GMATCLUB but then the targetted practice towards the actual GMAT as a whole , you suggest to stick to the OGs and GMATPrep QP & EP1,2. But then do you think taking all these MGMAT CATs are necessary? Why not just take the 6 CATs from GMATprep , especially, when the first 2 can be re-taken without significant repetition at later part of your preparation? Hi again Senthil7, you are absolutely correct. To avoid building bad habits, and to get a better feel for the test, always use real GMAT questions as your jumping-off point. If extra work is needed, then feel free to venture into synthetic, non-official questions for the purposes of repetition, practice and building fundamentals. One issue that I have with synthetic GMAT questions is that in many cases, they are exact copies of Real GMAT questions, which is unrealistic. As I said, GMAT questions are like snowflakes--no two are exactly the same. Feel free to use synthetic questions and third-party learning/strategy materials when necessary, but don't expect to see exact copies of Real GMAT questions on the actual test. You can't memorize steps on the GMAT...you have to master individual skills and learn to put them together in an improvisational manner. I don't think the Manhattan CATs are necessary anymore, given that there are now 6 official GMAT CATs, two of which--as you said--(Exams 1 and 2 / Default Exam Pack) can be taken repeatedly without significant overlap. However, the Manhattan prep strategy guides are still among my favorites, because they focus less on imitation practice questions / tests and more on building specific skills relevant to the GMAT. Also, not all non-official questions should be considered the same. The GMAT Club tests, for example, are very good, especially for Quant, and are excellent imitations of the real thing (not just copies of real GMAT questions with a few words switched out). But in most cases I see no need to settle for imitations. Originally posted by mcelroytutoring on 22 Jun 2016, 07:32. Last edited by mcelroytutoring on 30 Dec 2017, 23:45, edited 6 times in total. 1) There are around 4,000 real GMAT questions available, 1,500 of them for free. 2) Even after you've reached that threshold, it is unlikely that you have gained everything possible from those questions. Let me give you an example. My most diligent students will sometimes complete all 4,000 official GMAC GMAT questions. Of those 4,000, let's say that they got 400 wrong (90% correct). I then instruct my students to try those questions again, from scratch, now that they have had a chance to forget the answers...and my students only get them right around 60% of the time. What does that mean? It means that there are still 160 useful questions left. Hence, you shouldn't be obsessed with always seeing "new" questions. "Old" questions sometimes hold equal value when it comes to learning. Most GMAT studiers are obsessed with newness, and not willing to spend enough time on good, old-fashioned repetition. It is similar to vocabulary learning. You can see a word, learn it...and then forget it again. The second time you learn it, you are less likely to forget, and so on. Learning is not so much a process of understanding once and moving on for good, but a process of constantly learning, forgetting, and re-learning. Originally posted by mcelroytutoring on 23 Jun 2016, 20:44. Last edited by mcelroytutoring on 27 Mar 2018, 07:47, edited 3 times in total. I purchased the GMAT FOCUS and took a test today even though was worn out a bit. Though the range showed up for me as 45-49 I felt that 4-5 questions were worded in a very tricky way - qualified to be called 700+ questions in our forum terms! I agree with Mcelroy on this that the official sources are not as easy as people assume them to be! Being a user of GMATCLUB tests I found them to be absolutely worthy imitations with the sole intent of preparing a person for the grueling Quant Section! GMATFOCUS - 3 tests were worth buying superb problems with decent explanations! I regret having bought the entire Jeff Sackmann Sets of 1800 question as after completed 50% of those, now when i shifted to the OG 2016 i discovered most of the question in those JF sets were exact questions with values switched / words changed! Just wonder how to create practice sets of 37 questions in Wiley website without overlap pf problems - is there such an option in the first place? Can you someone help? 1) Stick with official GMAT questions. They are the highest quality questions out their and they do mimic the style and format of the test very accurately. There are close to 4000 official GMAT questions, just for quant out there. There are the Official GMAT guides, GMATprep, Question Pack 1, etc. 2) Stick with the 6 official GMAT tests that are part of GMATprep and the Exam Pack extensions. Spend your valuable and finite time on these tests, and not on some third party test prep outfits. Once you have all the core concepts in place, it will all boil down to honing one's problem solving skills. I mostly agree with the above, and I often find myself responding to poorly-written third-party Verbal problems that get posted here. However, I do have some reservations about relying solely on GMATPrep for practice tests. Clearly, these are the most accurate and GMAT-like CATs you can get: they basically are the GMAT! However, they are the worst in the industry in terms of providing feedback and analysis that will help you to improve your score. The GMAC has no interest in helping to improve your score, which is why you won't see topic breakdowns, explanations, or timing analysis (unless you count the maddening "average time per question" that any decent GMAT-taker should be able to calculate for themself). Even when I am working with a student who has already taken the real GMAT and has ordered an Enhanced Score Report, I am forced to look at their MGMAT tests to get a detailed idea of their strengths and weaknesses. Are they running too long on some questions? Timing out? Struggling with divisibility? For these questions, pretty much any prep company you can find will provide better answers than GMAC. I think that most of us GMAT instructors / tutors are in general agreement on this issue, with some minor differences based on our perspectives. Those of us who teach large GMAT classes are in need of as much diagnostic information as we can find about our students. Those of us who are private tutors can find ways of accessing that information (time spent per question, question categorization, etc.) through more informal means, but yes, I do wish that there were more detailed, question-level feedback available from GMAC (and yes, even the Enhanced Score Report isn't quite as "enhanced" as it should be). It is definitely true that asking GMAC for advice on the GMAT is like asking the IRS for tax advice: the GMAC is not going to be overly forthcoming. Every time you have to re-take the test, the GMAC makes more money. I also agree that the Manhattan CATs are superior to the GMAT Prep tests in terms of feedback (as well as the format for reviewing questions), but that doesn't change their main weakness: they provide feedback regarding non-official GMAT questions. If we could have Manhattan's feedback engine combined with real questions from the GMAT Prep tests, then that would be ideal. Then again, although this information is helpful, there is nothing more helpful then sitting down one-on-one with a student and discussing each question from start to finish. Knowing that a student got a divisibility question wrong (and that it took 2 minutes, 34 seconds) might give me a starting point, but it's nothing that I couldn't figure out by just taking a look at the question and talking it over with them, drawing out the question, etc. In other words, the general classification of the question is often much different from the precise reason why the student got it wrong. If I were teaching a GMAT class, however, then it would be hard for me to sit down individually with each student in order to learn this information, and the diagnostic information would thus become more useful. Those who are self-studying can definitely benefit somewhat from this type of enhanced feedback, but I do think it's a tad overrated for the reasons mentioned above. Using real questions, however, is definitely not overrated. Originally posted by mcelroytutoring on 27 Jun 2016, 22:33. Last edited by mcelroytutoring on 14 Jun 2017, 21:48, edited 4 times in total. Just wonder how to create practice sets of 37 questions in Wiley website without overlap of problems - is there such an option in the first place? Can you someone help? Senthil7 The updated Wiley Question Bank will now save your last 10 sessions and prevent any question overlap with those 10 sessions. However, don't be afraid of question overlap! It's not a big deal. Repetition is a big part of learning, so force yourself to write out every step of the solution anyway. You might remember the correct answer, but do you remember how to get there? For Quant, for example, can you spot the trap answers? And for Verbal, can you also explain why all the incorrect answers are incorrect? Originally posted by mcelroytutoring on 27 Jun 2016, 22:55. Last edited by mcelroytutoring on 30 Dec 2017, 23:46, edited 9 times in total. Actually, without a program that tracks pacing, that information is usually impossible to obtain. Most students don't know how much time they spent per problem, and I wouldn't want to encourage them to try tracking time usage on a per-problem basis during the exam unless they had a really serious timing problem. It's incredibly important for students to see how much time they're spending per problem, how that expenditure relates to accuracy, and what effect any timing troubles are having on their score. Other than the obvious long drop at the end, there's no way to get any of this from a GMAC exam. Sure, it would be great to have that analysis with real questions, but I don't think that's on the horizon. Until that day, it's wise to use a mix of third-party and official exams. Beyond that, sure, students should focus primarily on official questions. I'd argue that non-official math questions can be a great additional source of skill drill if there are areas where the OG hasn't provided enough material. Non-official verbal problems are more problematic. Since there's not the same universally agreed-upon rule set as in math, it's easy for third-party problems to stray from what would be correct on the test. While I am of the opinion that time tracking is overrated since most test takers have a pretty good feel which questions they spent too much time on because they struggled to find the correct answer choice, I agree with everything else you said in this post. GMAT verbal questions are incredibly hard to imitate because there are so many different ways of creating wrong answer choices. GMAT math questions are easier to come close to since every math question has only one obvious, correct answer; everything else is completely wrong. I like Manhattan GMAT math questions because they challenge students to think deeply about certain topics which will help them understand the concepts and apply them more efficiently. I wish students had a strong sense of their own pacing, but I find that that is very rarely the case. I've reviewed the test data of thousands of students, and I find that a) most students are underscoring because of pacing, sometimes by tragic amounts and b) most students with pacing problems underestimate the extent of those problems. Sure, we remember the crazy challenge problem that took us 6 minutes to get wrong. But do we recognize how many "routine" problems took us 2:30 or more? Do we know what fraction of long problems we actually got right? Do we have a sense of our ability to get easier problems right quickly in order to make up for those overages? When we see a long string of missed problems, do we know how many of those we actually worked in full? The last question might be answered by a look at our scratch paper (and so a tutor would need to ask for that). The rest are usually no, no, and no. Timing is the absolute #1 challenge for many people on this test. Aside from "don't ignore verbal just because your percentile is high," it's the issue I have to discuss most consistently with students, especially those who aren't hitting the score they want. It's a problem that everyone has to solve in one way or another, and using CATs that actually give feedback in this area is a big part of that. I see. It's harder to keep track of your students' progress when they are in a class. Without individual attention to each student, it's understandable why teachers need these summary tools. In the context of self-study, however, I would argue that these questions are either answerable without relying on an outside tool or not very important. My friends who I have helped with the GMAT are able to identify difficult questions right at the gate. For this test, a Verbal question is difficult because either the argument is hard to understand or the answer choices are not very clear, and a Quant question is difficult because the solution is not immediately obvious. These questions are subject to an educated guess, but the rest, which is the majority, are easy to handle. For questions that are considered "routine", test takers should solve them at the pace that they feel comfortable with to get questions right. Adding time pressure is not going to make them correctly answer more questions. The GMAT used to be a paper test, and as such did not have these electronic tools available to GMAT students. I don't think the people that took the test at the time complained very much about not having these tools. 1) Simply write down the time remaining in each section when you start each question. 2) Train yourself to take a screenshot of the question (which will include the timer information in the upper right-hand corner) at the beginning of each question. For your screenshots, use either the "Print Screen" (Windows Key + PrtScn) button on a PC or (Shift + Command + 3) on a Mac. Problem solved! Both of these solutions take about 2-3 seconds at most. I prefer method #2 because it provides a copy of the question as well, for later review. Don't forget to take a screenshot of the review screen as well, because once you reset your tests, you will not be able to review them. As far as question classification and "skill drill" (that has a nice ring to it, DmitryFarber ), you can also search for the text of your question and find forum-style explanations here on GMAT Club, where the questions are (usually) tagged and categorized, and you can find similarly categorized questions from both official (preferred) and non-official sources. Originally posted by mcelroytutoring on 28 Jun 2016, 08:53. Last edited by mcelroytutoring on 30 Dec 2017, 17:04, edited 11 times in total. Senthil7 In my opinion, the paper tests are on the lowest rung of the GMAC official materials ladder. However, this still puts them above all other synthetic sources of questions. The GMAT is now a computer-based test, and has been for a long time, so in most cases it's unnecessary to pay $30 for 330 practice questions from the 1995 version of the test, when the 2017 Official Guide Costs about the same and has 900 questions on paper--three times as many questions per dollar. Plus, the test was easier back then, and the pacing was different. On the real GMAT, you can't skip around like you can on a paper test, so you can't trust the timing or your scores. There is also significant overlap between these questions and the questions from other GMAC products--some estimate that as many as 40% of the questions on the paper-based tests can be found elsewhere. That being said, if you've run out of all the other official materials, then it's worth giving these questions a shot. As you said, just use them as individual practice questions, not full practice tests, in the same way that you use the OGs. Originally posted by mcelroytutoring on 28 Jun 2016, 09:52. Last edited by mcelroytutoring on 30 Dec 2017, 23:46, edited 4 times in total. I also disagree with the advice "save your official GMAT questions for later in the process." If you start your GMAT preparation with synthetic questions written by test-prep companies, then you are more likely to build bad habits that are based on the flaws of the questions you are using, which will be harder to fix later on in the process when you switch to the real GMAT questions contained in the OGs, GMATPrep tests (Exam Packs), Question Packs, Mobile App, Focus Quizzes and maybe even the Paper Tests (see discussion about the limited utility of the paper tests with Senthil7 above). If you must use synthetic materials, then my suggestion is to "bookend" your preparation with real materials. In other words, start with real GMAT questions to get a good feel for the test. Then, switch to proprietary, non-official materials--which are often simplified for the sake of teaching a particular lesson or concept--for learning and strategy purposes. Then, switch back to real GMAT questions as the test approaches, to remind yourself what the actual GMAT is like, and to reacquaint yourself with the precise level of complexity that only real GMAC questions can provide. Think of using non-official questions as riding a bike with training wheels. They are helpful for getting comfortable with the test, but they can only get you so far. Some synthetic questions/tests are better than others, for sure, and I consider the Manhattan and the GMAT Club CATs to be the best of the bunch, but they are still not as good as the real thing. Originally posted by mcelroytutoring on 28 Jun 2016, 11:02. Last edited by mcelroytutoring on 14 Jun 2017, 21:50, edited 3 times in total. Can some one please explain at what stage of the preparation should one start doing the GMAC Qs. Pack(404)? And is it true that it does not contain solutions to the questions? Can we find detailed solutions to GMAC Qs. Pack anywhere? I am planning to buy these but a little unsure since the solutions are not provided anywhere. Also, which one is preferred between Exam Pack and Question Pack? I would buy Question Pack 1 right away and use it as a helpful resource for those times when you only have about 30-60 minutes to study. It's very convenient, and rather affordable compared to the Exam Packs! The questions come with explanations from GMAC, and you can of course google the text of the questions to find forum-style explanations here on GMAT Club. In my opinion, while full, timed practice tests are helpful when spaced out correctly (they help build endurance and familiarity with the ebbs and flows of the GMAT test-taking experience), they are often over-utilized. It's perfectly fine to work on individual sections, individual questions, concept review or even untimed drills instead, in small sets of around 10-20 questions at a time. Learning is best done is small chunks. It's the Exam Packs (1 and 2) that don't come with official answer explanations, but again, you can access GMAT Club explanations to those, and/or you could consider purchasing the video explanations (Quant only) from GMAT Quantum, which are excellent, to the point, and reasonably priced. Originally posted by mcelroytutoring on 02 Jul 2016, 08:46. Last edited by mcelroytutoring on 30 Dec 2017, 23:46, edited 12 times in total. The GMATPrep Question Pack 1 and Exam Packs serve different purposes. The Exam Pack 1 and 2 (four computer adaptive tests) along with the two free GMATPrep tests should be spread out during your GMAT preparation to gauge your progress. Originally posted by dabral on 02 Jul 2016, 09:42. Last edited by dabral on 15 Sep 2018, 08:35, edited 1 time in total.